Let us just start off by saying this is a BIG freaking deal! 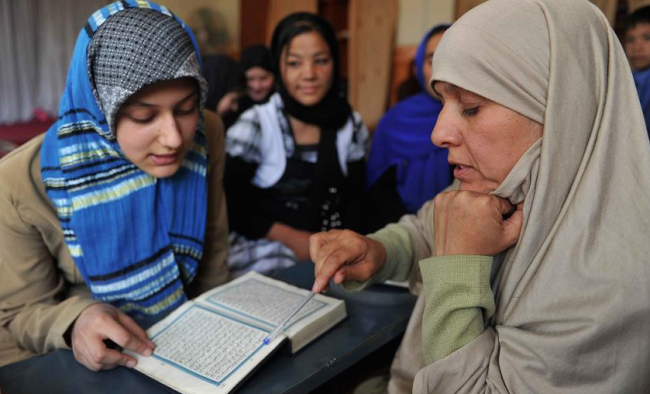 News out of Afghanistan states they are set to open their very first Women’s University, which will change the landscape of education opportunities in the country forever. While a specific time frame or date has not been announced, President Ashraf Ghani made a promise during his 2014 election campaign that he would back a woman’s university, which would be a first for the country. In fact it was President Ghani’s wife, First Lady Rula Ghani who confirmed the news to the media on January 20, saying preparations are on their way. The academic facility, tentatively named Mawlana Afghan-Turk University, will be built in a joint effort with Turkey. “Building a university for girls is one of the promises of Mr Ghani that he vowed during presidential campaigns and now we are on the eve of its implementation. Those girls that are not allowed to study at other universities can continue their higher education in this university,” Mrs. Ghani said. “This university will be built on at least 47 acres of land in Tap-e-Maranjan area in Kabul,” Afghanistan’s Higher Education Minister Farida Mohmand said during the conference. This is a major step forward for the empowerment of women in such a conservative country, which under the Taliban rule from 1996 to 2001 where it strictly enforced Sharia Law, forbidding women and girls to work, be seen in public without a male family member escorting them, or going to school. Despite it technically being a democracy in 2016, women are still susceptible to attacks from the terrorist group. United Nations estimates there are millions of girls are still prevented from attending primary school, driving the female literacy rate down to a low 20% nationally for women between the ages of 15-24. For the schools that do exist, 50% of them lack adequate resources and proper buildings, making the quality of education they provide not always up to standard as seen elsewhere in the developed world. 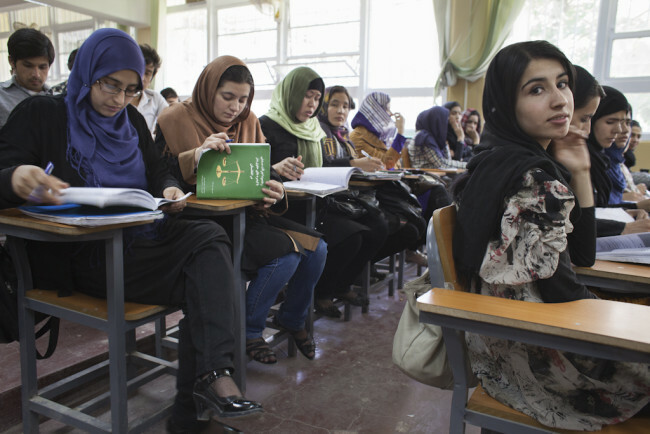 Currently, there is an American University in Afghanistan where women can enroll, as well as a handful of others, but the numbers of women attending university as a whole compared to men is very low. The forthcoming Women’s University could change that, and enable women to participate in other areas of society as well. 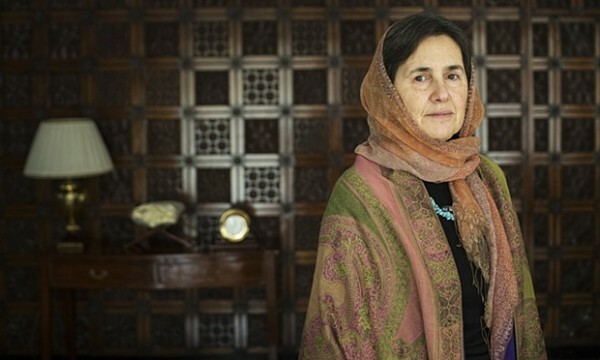 Having a champion like First Lady Rula Ghani is a big deal. She has been a powerful advocate for women’s rights, which is quite extraordinary considering she is a Christian in a Muslim-dominated country. Also, the fact that a President’s spouse is given a public voice and allowed to be involved in causes that could potentially offend some of the most conservative people in the country could indicate Afghanistan is nearing a new frontier in terms of women’s empowerment. While the women and girls in the nation no doubt eagerly await the news of when this university will be open, they can be assured it sends a loud and clear message to extremists who are firmly against the idea of an educated women. Rula Ghani believes greater participation of women in government and public life is what will take Afghanistan and its economy to a new level. And with the introduction of a new Masters program on gender and women’s studies now being offered at Kabul University, time will tell what the impact this will have on the next generation of Afghani girls. There is more vocal support for women’s rights than ever before. President Ghani nominated the first female Supreme Court judge in July 2015, despite the historic bid falling 9 votes short. It sent a message to the people of his country his views toward women in positions of leadership. We’ve seen how men have taken to the streets of Afghanistan in a protest, taking a stand against harassment toward women in a brave display of solidarity. And of course the women and girls who are making headlines for their work helping get girls into school and change perceptions about the effect of an empowered woman in a conservative society. With some recent interesting news that a splinter faction of the Taliban wants to break away from the main group because it believes women should work and go to school, it is an interesting and potentially exciting time for women ahead. Here’s to more progress in making education accessible for every woman and girl in Afghanistan. When you empower a woman, it affects her family, her community, and eventually the world.